Years ago after an insightful experience, I wrote these words in my journal: No matter how many times I hear something, I will deny what I’m not prepared to accept. Friends, loved ones, or even people who don't like me tell me something about myself. I hear the words, but I ignore the meaning. It usually takes something drastic to make me accept something about myself that others have seen but I haven't. I'm a straight talker—that's neither a boast nor an apology. It's who I am. But after I'd hurt people's feelings (unintentionally) enough times I realized that bluntness, frankness, or straightforwardness (whichever word we choose) can also be harsh and unkind. Perhaps not wanting to change keeps us from "hearing" facts about ourselves. But once we accept the truthfulness of what we hear, we have to decide what to do about it. I'm committed to accept those unpleasant things about myself. To prepare for further truth about myself, here's something I pray every day: "God, heal the parts of myself that don't want to be healed." The more open I am to hear about hidden parts of my personality, the more I'm ready to change (be healed). I will deny what I’m not prepared to accept—and to change. The first time I said aloud (and meant the words), "I like who I am," it was a shock. I spoke those words when I was on my normal, early morning run. "I like who I am." The words felt right. I did like myself. I repeated the sentence several times and smiled. I had been on my healing journey about a decade before I made that simple declaration. That was one of the powerful moments in my recovery. I'm still learning to appreciate who I am and to enjoy being Cec Murphey. Since then, here's the sentence I say aloud every morning: "I like who I am, I like who I used to be, and I like who I am becoming." The words were a long time in coming, but they're true and they express the deep self-love and self-appreciation each of us needs. I'm growing in my self-appreciation. Sometimes my recovery seems to be going in nothing but circles, as if I’m driving around and around in a cul-de-sac. I’m not sure why, but I know I don’t like it. I would prefer that my healing progress be in a linear fashion, moving from one glorious breakthrough to the next. Unfortunately, it doesn’t seem to happen that way for me. When I realize that I’m circling around a certain bad feeling or an addictive behavior (maybe for the umpteenth time) again, one of the hardest things for me to do is to slow down, put on the brakes, pull over to the side of the road, and just think about what I’m doing. My impulses get the best of me far too often and I start speeding around that tiny cul-de-sac of the mixed up, muddled up neediness in my brain and get so dizzy I spin out of control. Just today, for example, jealousy rose up in me as I listened to some good things that have happened for some of my co-workers. I found myself becoming sullen and almost dissociative in the room. I’m sure some brain chemicals were getting all charged up that feed my well-developed self-pity. I could feel myself sinking into the floor until I did a “heart check” and made a decision to be happy for them instead of unhappy for me. Even though I caught myself quickly enough, it still took me a good hour or two before I could get my emotional vehicle to a complete stop. I’m still a little dizzy, but relieved that, at least for the rest of today, I don’t have to keep spinning around the cul-de-sac. People often speak of the onion and peeling away a layer at a time. The problem is that when they finish, nothing is left. I prefer to think of the artichoke. That vegetable has tiny thorns at the tip of each leaf. That's a danger signal—a warning of pain if we proceed. The best way to handle the problem is to snip the thorns and start pulling off the leaves. When they're all gone, we're left with only the heart—the most delicious part. This helps me explain our coping with sexual molestation. We face the thorny, painful issues first. We chew on a leaf and then bite into the next one. 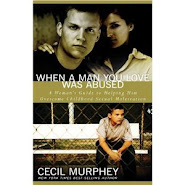 The problem with abuse is that we rarely know or understand the effects. We struggle with the obvious issues in the beginning. As we heal, we face the less obvious effects. We sometimes ask ourselves if we're getting anywhere or if it's worth the struggle. But we know it's worth the anguish and the heartache. We may never be fully healed, but each time we bite into a new leaf, we're closer to the heart. Each leaf I chew takes me closer to the pure heart. 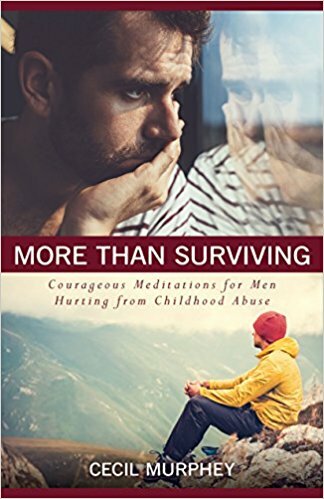 As a male survivor, I’ve really appreciated the brief and potent thoughts you consistently share in Shattering the Silence. Regarding this entry, I thought I would mention that females are also perpetrators—against both men and women. Because some male survivors feel doubly estranged by this reality, may I suggest that you ‘open your description’ to more than a bald ‘He?’ A one-size-fits-all offender can be very difficult for some men to stomach. Females are perpetrators, and I appreciate Andrews's comments. My first perpetrator was a woman, and I've heard many others echo the same statement. I recently read that 38 percent of male abusers are females (I have no idea how to validate that figure). 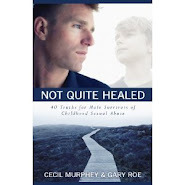 Gary Roe, who is my co-writer on our soon-to-be released book, Not Quite Healed, was (like me) molested by both a female and male. As Andrew points out, being molested by a female does double damage to survivors. Those of you who have been molested by females: Will you email me personally about your experience, especially the ongoing after-effects? cec.murp@comcast.net. Why did he choose us? What did we do to make him single us out? Although complicated, here's the most direct and simple answer I know: We were needy kids. Those four words sum it up. We may not have realized our neediness. After all, how many four-year-olds or ten-year-old boys are mature enough to reflect on such issues? We were needy kids. Whether we came from impoverished homes or our parents were millionaires, unless we felt deep within ourselves that we were loved, we were open to anyone who showed us kindness or affection. Our perpetrators reached out in such ways that we were ensnared. They gave us gifts or took us places. They spent time with us. They listened to us and made us feel important. They deceived us, but we didn't know. We were needy kids. I'm not blaming parents, saying only that we didn't feel the warmth we yearned for. Perhaps they were unable to give it to us (as was true with my parents) or they didn't express it in a way that convinced us of their love. We were needy kids. Maybe we need to repeat those words in first person. I was a needy kid. The absence of affirmation or acceptance, love or affection—whatever I was lacking—made me vulnerable. someone took advantage of my neediness and my innocence. They happen to all of us. Setbacks. Just when we think we’ve got this recovery thing going strong, we mess up. We fail. We let ourselves down again by saying, thinking, or doing something that constitutes “acting out” for us and we’re devastated by it. The addicted side of us rises up and binges. The victim part goes into self-pity. The perfectionistic self-talk inside our heads launches into non-stop attack and the “agony of defeat” sets in. What do we do? In my experience, the first thing I do is take some deep breaths and calm down. A wise friend once told me that the worst thing about a setback isn’t the setback itself, but my reaction to it. I’ve thought about that many times when I’ve experienced them. My first response is usually somewhere between panic and disgust. From there I tend to spiral into self-condemnation and horrible guilt. If I don’t interrupt the cycle, I can wind up binging even more out of the sheer need to medicate all the panic, disgust, condemnation, and guilt I’m feeling. So, after I breathe a little, I do some positive self-talk and remind myself that I am on a journey. I’ve not arrived yet, but each day is another good opportunity to get closer to where I want to be. I soothe my panic with kindness and settle as quickly as I can the need I have to be perfect. From there I might write in my journal something that encourages me or I'll call a friend and reconnect with reality. My best tactic is to recognize that what I’ve done wasn’t good, but neither is it a catastrophe. More than likely I will live another day to try again. Most of us acknowledge that events in our lives shape our attitudes and our behavior. If we reflect on our lives, usually we can see that the past—both good and bad—affected our personalities and outlook and made us who we are today. Molestation is one of the sad parts. What happened to us at the hands of our perpetrators involves every relationship—even though we're not always conscious of the effect. Success in the healing process means being aware that we behave in certain ways because of trying to cope with our childhood abuse. For example, I'm a compulsive overachiever. I used to say that God gave me a lot of energy (true) and I work quickly (also true). A third truth, however, is that the little boy inside me was crying out, "I'm worthwhile! Look at what I've been doing! I'm showing you!" I was driven by overpowering forces and a search to feel acceptable to myself. I'm learning to appreciate who I am, and I'm much happier. the less I yield to my compulsion.